Dusan Percinkov was born in 1939 in Skopje. He has graduated at the Academy of Fine Arts in Belgrade, where he also had his first solo exhibition. Throughout his career, Percinkov had ten solo exhibitions and numerous group shows in Macedonia and in different European countries. In 1978 Percinkov participated as one of the representatives of former Yugoslavia at the Venice Biennial. 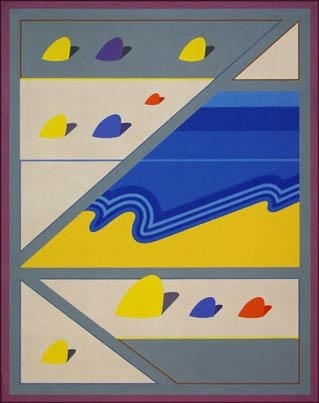 The opus of Dusan Percinkov can be perceived through three phases related with the exploration of his means of expression: painting (1963 – 1975), graphic art, 1975 - 1985 and graphic maps, 1985 - 2003. However, this description does not suggests periods disruption and discontinuity, but on the contrary, it shows the exceptionally evolutional nature of Percinkov`s artworks, where the serial research of one or a group of forms and/or subjects, quite logically leads towards new concepts and new artistic challenges. Most of Percinkov`s paintings could be described as metaphorical abstractions, meaning that the artist remained through references closely related with the nature and the landscape. 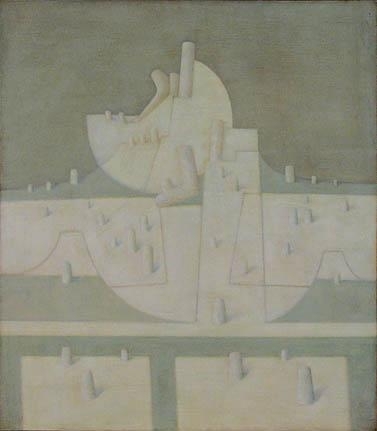 In his best known series of paintings entitled Motifs from the Suburban from 1970-1975, Percinkov defines the subject of suburbia as an ideal place where the nature and the city meet in a perfect harmony with each other. His numerous series of prints, produced between 1975 and 1991 contain serially developed variations of his characteristic forms of haystacks or landscapes of grass, which are being more and more reduced in their symbolic rhetoric and becoming only minimalist abstract signs suggesting more the forms of the language than those of nature. Starting from 1991 until today, Dusan Percinkov works on several series of maps of prints, in which his suburban idealism is replaced with Becket-like concepts of absurd through the representation of terms such as `nothing` or the sum of zero.